Have you heard about React Native development? It seems that 2018 is the year that the technology developed by Facebook will play the lead in the mobile app development universe. And especially now that it already supports both iOS and Android. Creating a mobile application with React Native means that you aren’t developing a mobile web or a hybrid application at all: you’re actually creating a real native app. Moreover, applications created with React Native have their same look and feel, so you don’t need to worry about the UI or the functionalities. In addition, React Native makes it easier to improve existing applications, as it allows you to integrate features with ease. This list is published after introducing the new category: React Native Developers. Keep in mind that this list is not sorted by quality: the order is completely random. If your mobile app development company works on React Native projects and is not yet featured on the directory, be sure to become listed right from your profile’s category section (within the cross-platform option). Applify has extensive experience in React Native development and it’s one of their favorite technologies. The company feels like this technology has helped properly implement features without any impact on the user experience and it has also speed up the development process. Productivity has boosted and it’s now easier to create cutting-edge cost-effective apps in less time and using fewer resources. Applify has also succeeded in including a new set of features with the React Native technology, such as Geo-location, Social media integration, Map integration, Push notifications, Calendar and event-based functionality, Third-party plugin compatibility, In-app purchases. 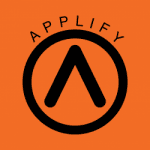 App development company services: Applify has a variety of services for its clients as iOS, iPad, iPhone and Android app development. Also it is specialized on Web and Cross Platform, wearable and Health & Wellness app development. 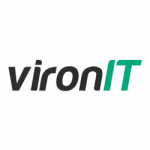 VironIT has recently started developing with the React Native technology. However, they have several experienced developers within their team, so they plan to take on more projects in the near future. What’s more, VironIT has already succeeded with two projects developed in the React Native framework. App development company services: VironIT offers different services like iOS app development, Android or Web. The industries they have developed mobile apps for are Mobile Game, Health & Wellness, Education or Social Media. Konstant has been creating apps with React Native for over a year and they have a dedicated team of 7 experienced developers. Konstant offers high-quality React Native app solutions and they are equipped with the knowledge, resources and technology needed to provide their clients with the best project management system. Currently, they have several React Native projects in development but have already successfully delivered a few. 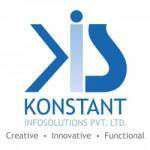 App development company services: With a main focus on iOS app development and Android app development, Konstant Infosolutions also develops for wearables and mobile game apps, social media apps and Internet of Things development. nomtek is a company from Poland that was founded back in 2009. Among other development services, nomtek is now offering React Native solutions and aims to help their clients solve any problem they might have as well as eventually accomplish their objectives. App development company services: Nomtek is a mobile app development company with services on iOS, iPhone, iPad, Android, Windows, Enterprise, Health & Wellness as well as Social Media app development. Brainmobi started developing with the React Native technology a couple of months ago, but they’re already working on three React Native based apps, one of them being a restaurant booking app that is going to be delivered soon. They’re a team of 6 engineers and they aim to deliver efficient solutions to their clients. App development company services: BrainMobi offers iOS as well as iPhone and iPad app development services. The company has also experience developing apps for Android, IoT, wearable and cross platforms apps. 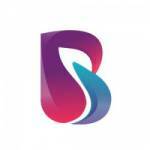 BrainMobi has launched apps for the Education, Health & Wellness and Social media sectors. PowerCode has been working on React Native for more than a year and their team consists of 7 developers who are focused on creating apps with React Native. As for their experience, they’ve developed several applications with this framework, such as social media apps, marketplaces and enterprise solutions. App development company services: PowerCode was founded in 2015 and has a team of more than 80 people. They make sure every project is personalized and unique and offer both skilled developers and a professional management service. At Appinventiv, they have experience with React Native using Visual Studio IDE and Atom IDE along with Android Studio and Xcode. Thet write about React Native on their blog page and aim to share their knowledge with others. They’ve worked on several features like Analytics, Map Integration, Social Media Integration, Support for Realm database, etc. They always focus on giving their clients the best possible React Native mobility solutions they can. App development company services: AppInventiv works on iOS, Android, as well as wearables and geolocation. It also has services on Enterprise, Health & Wellness and Mobile Game app development. Synergo Group is an established development company that is now developing apps with React Native. The company states that there’s a big potential for this platform, so they will continue to invest in it given the growing interest that this technology has raised during the last few months. 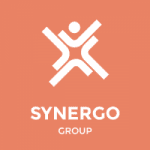 Synergo Group makes the most of React Native’s code-sharing capabilities by providing their clients with great, efficient solutions. App development company services: Android and iOS app development are the main services offered by Synergo. The app developers can also work with cross platform, Windows and web apps. Other sectors they cater to are: Internet of Things, Enterprise or Education apps. 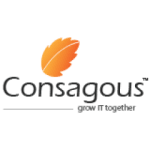 Consagous Technologies has been building applications with React Native since the inception of the React Native framework. Their aim is to provide world-class quality solutions to their clients. Their experience has been positive and successful, given that they’re reduced the development time to 30%. They have a team of 10 developers who are currently working on five different projects and have already finished three using this new technology. App development company services: Consagous offers services like Android, iOS, iPhone, iPad, Web, Cross Platform, Social Media, Health & Wellness, Education and Enterprise app development. 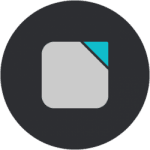 DigiMark is an international app development company based in Bulgaria that has been developing with the React Native framework for two years. They have a team of 7 engineers working on this technology and they’re planning to expand the React Native team in the near future. 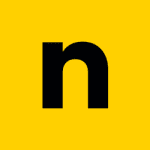 They’re currently developing a social platform and a corporate loyalty platform with React Native. App development company services: DigiMark offers different services like iOS, Web, Android, Internet of Things, Mobile Game, Social Media and Augmented Reality development. 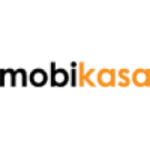 Mobikasa is a mobile app development with offices in the United States and India that focuses on developing apps and web solutions. Mobikasa is currently developing React Native apps and offers solutions based on that technology. App development company services: Mobikasa works on iOS, iPhone, iPad, Android, Social Media, Mobile Game, Enterprise, Web, Internet of Things, Windows, Wearable and Cross Platform app development. 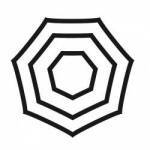 Umbrella Alliance has a team of 10 skilled professionals developing on React Native. Their experience with this technology has been satisfactory for over a year, and they continue to work on React Native projects so they can deliver unique high-quality apps to their clients. Among their React Native projects, Umbrella has completed a taxi platform which includes admin panel, mobile apps for Android and iOS, and a special corporate portal for the corporate clients. App development company services: Umbrella Alliance works on different services like wearable, Internet of Things, Android, iOS, Web, Enterprise and Social Media app development. Intuz is a mobile app development company that has been developing with React Native for more than a year. They’ve had a great experience working on these projects and have contributed React Native components on Gitlab repositories. Intuz aims to help their clients launch their apps quickly and is currently working on several React Native projects. App development company services: Intuz has been in the sector for ten years and it focuses on mobile app development & cloud services. They work with enterprises, Internet of Things, Virtual Reality and Augmented Reality. 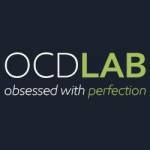 OCDLab considers that React Native is an excellent platform that allows to develop highly-efficient applications thanks to its ease of maintenance and excellent performance. The company has been working with this technology for about two years, and React Native has since then become their favorite technology when it comes to cross-platform development. They have developed various apps using React Native (for example, an interactive app for kids and business solutions) and they’ve implemented features like AWS Backend, geolocation, in-app purchases and Analytics. App development company services: OCDLab offers mobile app development services for the latest technologies and platforms like Wearables or IoT. They also have Android app developers as well as iOS, iPhone, iPad, Web or Cross Platform app development teams. The industries they have already worked for are Enterprise, Education, Health & Wellness and Mobile Games. Ready4S’ experience with React Native began back in 2017 and the company has several projects currently in development. Their team is formed by 7 engineers who all believe this new technology is powerful and efficient, and they always do their best to offer the best quality thanks to their vast experience in the sector. App development company services: Working on User Interface and different platforms like iOS and Android as well as Internet of Things App Development. 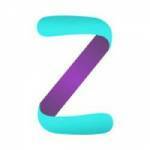 Ready4S also works on apps for Enterprise, Health & Wellness and Social Media app development. 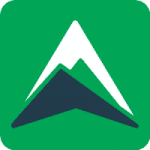 Eastern Peak is an app development company from Ukraine that has extensive experience in cross platform app development and, specifically, React Native development. Their team consists of 10 React Native engineers (who are also familiar with other technologies such as Objective-C or Java) and they’re in the process of hiring more. They’re working on several React Native projects at the moment. App development company services: Eastern Peak offers services for Android, iOS, Web, Cross Platform, Windows, Wearable, Internet of Things, Enterprise, Education, Health & Wellness, Mobile Game app development. 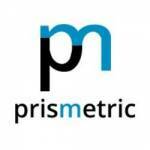 Prismetric is a top web and mobile app development company that has been developing with the React Native technology since 2017. The company has already developed 12 apps using React Native.They’re currently working on several projects at the moment. 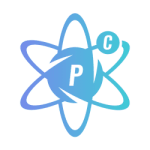 Prismetric recommends using React Native for hybrid development and they believe that this framework makes the development process favorable and smooth. App development company services: Prismetric has a wide range of services going from Windows, iOS, Android, BlackBerry, Wearable, Web, Cross Platform, Enterprise, Education, Health & Wellness and Social Media app development. 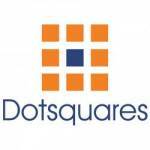 Dotsquares is a company with more than fifteen years of experience that has been developing apps using React Native since late 2016. Their approach is simple: if the application scope is compatible with the Hybrid platform, then React Native is a top choice for them. They’ve developed several applications using this technology and they continue to work on projects in order to deliver efficient solutions to their clients. App development company services: Dotsquares offers services on iOS, iPhone, iPad, Android, Social Media, Mobile Game, Health & Wellness, Education, Enterprise, BlackBerry, Windows and Internet of Things app development. 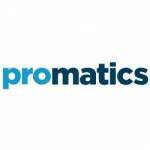 Promatics ia a mobile app development company based in India that has quite some experience in React Native development. They feel there’s a lot of elements available and the community behind the technology is a great addition as well. Their success in this area has been creating apps with React Native that feel just like native applications. App development company services: Social media apps and Enterprise apps are their main area of expertise using Windows, cross platform, Web, Android or iOS app development platforms. Apptunix is a mobile app development company that offers top of the line development services and mobile expertise. They have been working with React Native for the last two years and their skilled team has created over forty apps using this technology. Apptunix believes the React Native framework has helped increase the development process’ speed and improve its efficiency, especially when you take the costs into account. 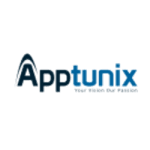 App development company services: Apptunix has developed more than two hundred apps and is focused on iOS, Android and, above all, creating responsive apps across any platform. 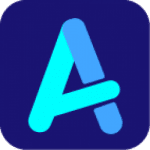 AppsInvo has recently started to develop apps using React Native, but they’re already working on different projects and their experience has been extremely satisfactory. They’re currently developing React Native apps for more than thirteen business domains (m-commerce, fintech, social networking, healthcare, travel), and they include top-notch features, as well as a modern UI/UX. In addition, they’ve used Redux, Redux-Saga and Native Modules and have already worked with reusable components. 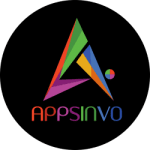 App development company services: AppsInvo was founded back in 2014 and is focused on wearables, Android app development and iPhone app development. They help their clients improve their productivity and performance. 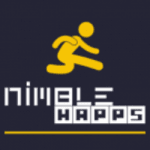 App development company services: Nimblechapps develops Social Media, Mobile Game, Health & Wellness, Education, Cross Platform, Internet of Things, Wearable, Web, iPad, iPhone, iOS and Android apps. 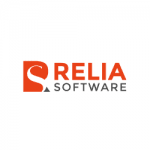 ReliaSoftware is a mobile app development company that has been creating apps with React Native for one year and a half. Their React Native development team consists of 8 engineers and they’ve created both consumer apps and enterprise mobility solutions, as well as an Artificial Intelligence app. App development company services: Relia Software offers several development services like Android, iOS, iPhone and web development. The company has worked on more than 300 apps projects during the last six years. Mobile app developers can also share their expertise and information on our Forum: Top React Native Development Companies 2018. Find the best app development companies on AppFutura’s directory.